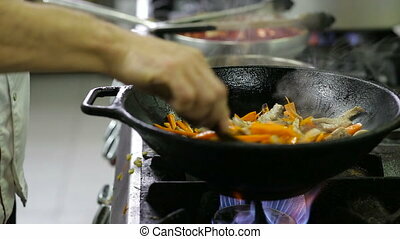 Chef in a kitchen making flambe with vegetables. 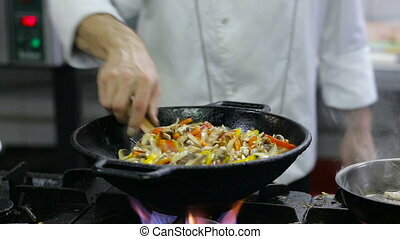 Chef in restaurant kitchen at stove with pan, doing flambe on food. 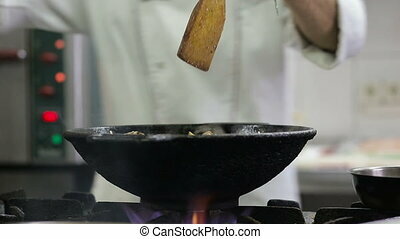 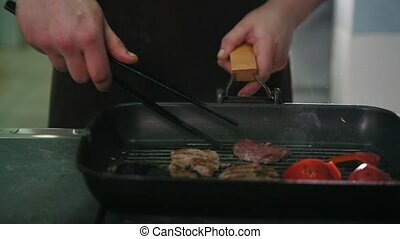 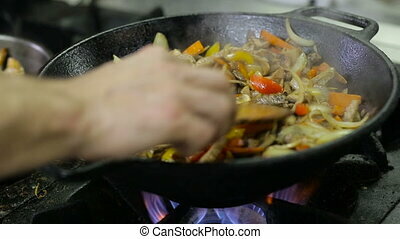 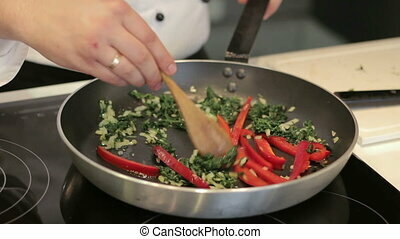 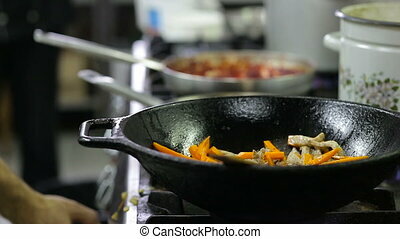 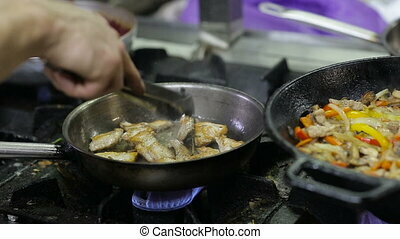 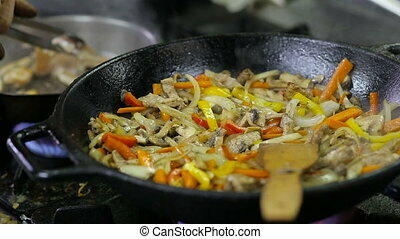 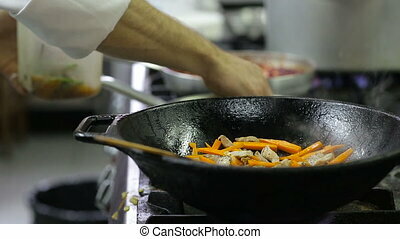 Chef frying vegetables and meat in a wok in the kitchen. 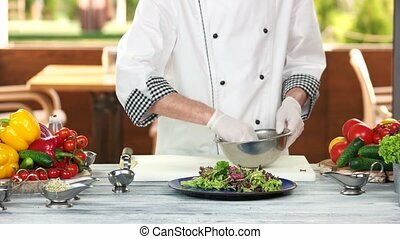 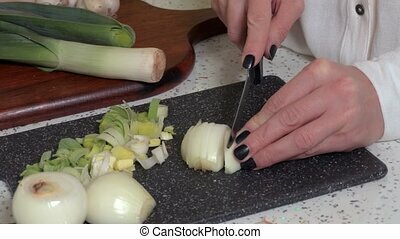 Chef making a lettuce salad. 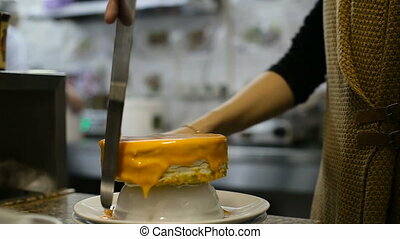 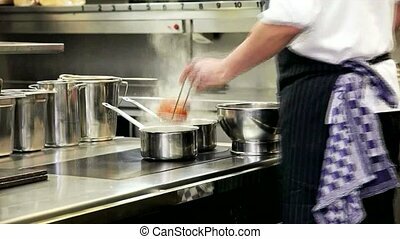 Food preparation in restaurant kitchen.